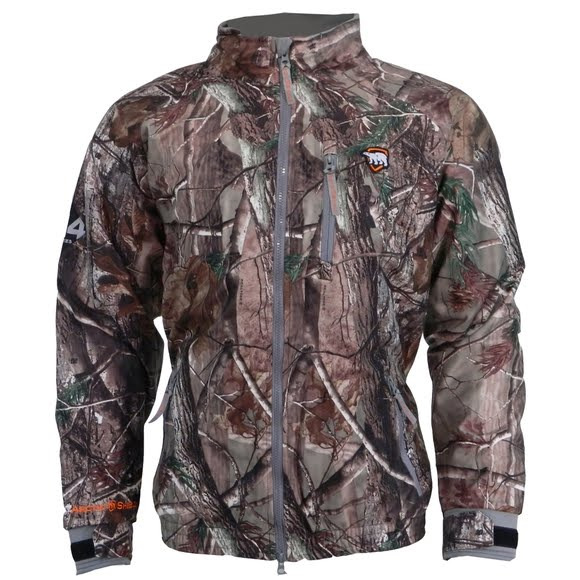 Stay warm and hidden on your next hunting adventure with help from Onyx's As Guide Gear Jacket. This jacket features three outer pockets and two inner pockets. Onyx added quiet suede shell fabric so you can track your trophy. Stay warm and hidden on your next hunting adventure with help from Onyx&apos;s As Guide Gear Jacket. This jacket features three outer pockets and two inner pockets. Onyx added quiet suede shell fabric so you can track your trophy.